The extraordinary fertility of manmade Terra Preta soils in the Brazilian Amazon provided the incentive to study soil charcoal amendments on soil fertility, nutrient cycling and soil biology. The existence of Terra Preta suggests that tropical soils, which are notorious for being infertile, can be greatly improved. 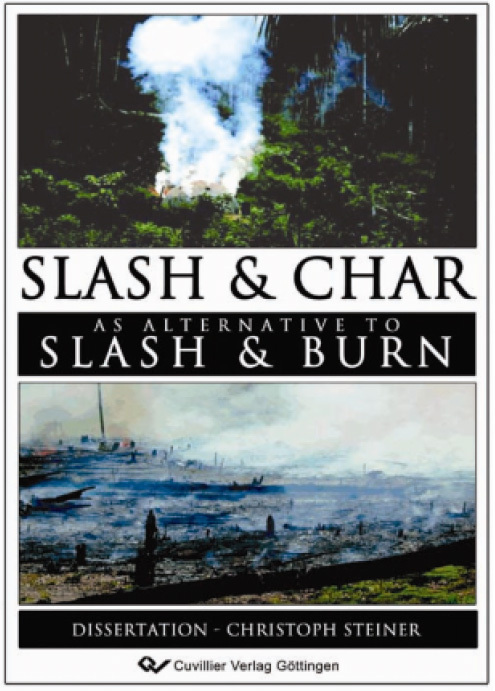 The agricultural practice of slash and char produces charcoal out of fallow vegetation instead of con­verting it to carbon dioxide through burning. Slash and char improves soil quality by soil char­coal amendments simul­taneously transferring atmospheric carbon dioxide into recalcitrant soil or­ganic matter pools. This newly de­scribed agricultural practice has im­portant implications for the earth's carbon budget, and sus­tainability in tropical agriculture. This dissertation comprises inter­disciplinary research on ancient Terra Preta soils and soils recently amended with charcoal. In addition, data and in­formation were gathered at local charcoal production sites and indigenous soil fertility management was described.